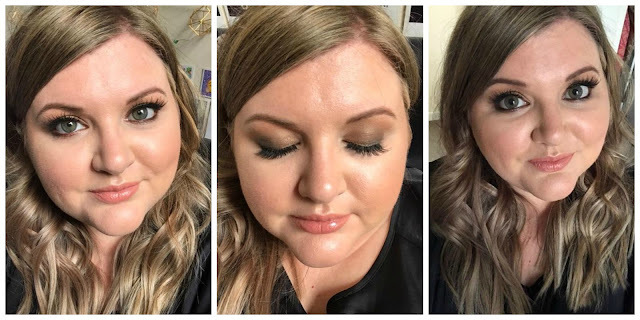 A few weeks back I was offer the chance to try the brand new on-demand hair and makeup service from #NOFILTERNEEDED in the comfort of my own home, and I wanted to tell you all about it! Janine and Joshua got me glammed up for a day party a few weeks back and sweet lord I loved the experience!!! I always watch the Kardashian's get glam and feel jealous, so this experience made me feel like a celebrity and I was so pleased with the finished look. The beauty of the service is that it is quick, Janine and Joshua worked really well together and completed my glamming in just under an hour. From the app which launched on 7th July 2017, you can select makeup services, hair services or both combined. #NoFilterNeeded has a massive network of available Hair Stylists and MUAs so you can select a time that suits you. Janine and Joshua are the brains behind the concept as they saw a gap in the market and have most definitely filled it! Hair and Makeup with lashes is £85 and if there is more than one person who wants to take advantage of the service then discounts are available, you just discuss this at the time of the booking. Hair is £40 for blow dry plus styling and makeup with lashes is £45.